← ISLJ International Sports Law Conference 2018 - Asser Institute - 25-26 October - Register Now! At the core of this blog lies a comparative case study of the implementation of the FIFA Regulations on working with intermediaries (hereinafter “FIFA RWI”) in eight European FAs covering most of the transfers during the mercato. I will then critically analyze the issues raised by the implementation of the RWI and, as a conclusion, offer some recommendations. In 2015, FIFA sought a new reform of football agents’ activity and adopted regulations on dealing with intermediaries that are defined as “a natural or legal person who, for a fee or free of charge, represents players and/or clubs in negotiations with a view to concluding an employment contract or represents clubs in negotiations with a view to concluding a transfer agreement”. As solemnly illustrated in the Preamble, their purported aim is to bolster high ethical standards for the relations between clubs, players and third parties as well as enable proper control and transparency as regards player transfers. In a nutshell, FIFA devolved its regulatory powers to the national federations whereas it will just monitor the regulations’ proper implementation. The concrete impact of the new RWI can be duly chartered through an examination of European FAs’ implementation (i.e. Belgium, England, France, Germany, Italy, Netherlands, Portugal, and Spain) as Europe possesses by far the biggest transfer market globally. The registration process is a conditio sine qua non for agents. Based on a literal interpretation of the RWI, agents’ registration should occur on a transactional basis and it is conferred upon clubs and players to provide to the respective FA the intermediary declaration and representation contract. As FAs are empowered to go beyond the minimum requirements enshrined in FIFA’s RWI in some instances they have implemented different requirements. For purposes of tracking and tracing their activity, agents should, subject to signing and filing the so-called “intermediary declaration”, be registered with the FA where they exercise their profession. Ergo, the plethora of administrative rules simultaneously applied constitute glaring obstacles, as they allegedly impede the provision of services on behalf of agents and, on top of that, the enhanced amount of registration fees is burdensome. The net result seems to be that a “fragmented and multi-tiered system” does not seem compatible with EU law. It is more likely than not that by curtailing the development of agents’ business, EU law (i.e. restraint on competition, free movement of services) is infringed. Apart from France, where candidates must sit a written examination and Spain, where a personal interview with the respective FA takes place, in principle, such assessments are not considered. The self-certification of impeccable reputation does not guarantee the quality of the services rendered by agents and the possession of the requisite skills thereto. In fact, the EU Sectoral Social Dialogue Committee for Professional Football confirmed a decreased quality of said services. The obligation to undertake a serious examination should, a fortiori, be taken seriously into account and put into practice as it will offer guarantees of objectivity and transparency. Of course one could contradict that agents derive their value from their extensive network of contacts and market knowledge; instead of their education or license. Nevertheless, qualitative criteria need to be set as a condition for eventual registration, as players should only have the option to gravitate towards agents that can deploy them quality services. This is further fortified by the fact that football has become a sophisticated business, whereby complex contracts plausibly require qualified assistance so as to achieve a better protection of players’ rights. In theory, agents should be entitled to receive remuneration so long as they have brought about the employment contract/transfer agreement for which they have been engaged. The mere introduction of the parties to a contract, without evidence of contribution to said conclusion, is not sufficient as the entitlement to commission crystalizes upon the provision of services. Reality bears witness to the fact that the recommended 3% benchmark cap inserted in the FIFA RWI, albeit being the apple of discord in recent discussions, has not been interpreted by FAs as a “must”. Only 4/8 FAs have transposed such recommendation in their domestic RWI while the others have ignored it. A glance at current numbers proves that, in spite of the recommended cap, agents’ fees have swelled; as from 2013, UEFA clubs have spent 97.2% (i.e. USD 1.54 billion) of the commissions pocketed by intermediaries globally. Going forward, it is indicative that as per the UEFA Report for the FY 2016, the average commission rate amounted to 13% in Belgium, England, Italy and Portugal, 9% in France, 15% in Germany, 12% in the Netherlands and 8% in Spain. The above figures succinctly demonstrate that FIFA’s recommendation has not led to a de facto limitation of the remuneration paid to agents. This is also confirmed by a report for the EC that outlined the increase in agents’ fees following FIFA’s deregulation. Potential low remuneration cap would, unavoidably, incite agents to breach their fiduciary duty and favour their own interests. Exempli gratia, they would rather clinch deals in FAs that contemplate higher commission fees, even if it is contrary to the best interests of their client’s career. Furthermore, reprehensible practices would definitely take place since agents’ commission and players’ remuneration function inversely (i.e. the more agents receive, the less players earn), while it is also likely that agents would be discouraged to provide high quality services. In the same vein, it could lead to collision with EU law. As a matter of fact, it has already raised EU competition law concerns as some have considered it a disproportionate encroachment on agents’ economic freedom, thus, infringing Articles 101 and 102 TFEU. On the flip side, I would like to play devil’s advocate going forward. Should the 3% cap on fees apply, this would ward off “agents” whose sole purpose is to make “quick and dirty” money. Therefore, the 3% cap could work as an indirect assessment of the ones who are worth of being agents. From the outset of the eventual transaction, players/clubs should endeavor to assure that no conflicts of interest exist. 6 out of 8 FAs have transposed ad litteram the provision stipulating the right of intermediaries to represent multiple parties to a transaction, so long as they have articulated in advance potential conflicts of interest and received written consent by all parties involved. The CSKA Sofia v. Loic Bensaid case could be considered as a precursor to this provision, in which it was stressed that an agent who represents both player and club does not commit fraud so long as he has made the situation transparent to the parties. In my view, said provision ostensibly solves potential conflicts of interest but de facto goes against agents’ fiduciary duty and ineluctably leads to such conflicts. By way of comment, should an agent represent both the player and the destination club, he would have to act in a neutral manner, which will adversely affect the player’s interests. In order to maintain healthy relationships with the club so as to facilitate future transactions, it is more likely that he will not seek the maximum salary possible for the player. Conversely, should the agent represent both the player and the club of origin, one can easily understand that a higher transfer fee reduces the player’s salary and vice versa. In my view, with such provision, unwittingly or not, an own-goal has been inflicted as FAs are not incentivized to crack down on potential conflicts of interest. At least, if the French/Portuguese practice is not followed (i.e. dual representation is prohibited), the English model could be an attractive solution. Notably, the possibility to seek independent legal advice should be construed as a necessary requirement that will safeguard players’ sporting/financial interests from being compromised. Almost all FAs outlawed payments when the player is a minor. Portugal seems to have applied a more stringent standard (i.e. representation is totally forbidden), while Italy does not stricto sensu prohibit such remuneration. Agents would have a vested interest to tie up youngsters for many years, which might, in turn, work at their expense, as the former might seek to capitalize their investment in the players as soon as they get 18 years old. As submitted, when it comes to minors, unscrupulous agents can go “forum shopping” and seek to conclude a representation contract in the most favorable jurisdiction, i.e. the one that does not limit the duration of said contract. The foregoing should be read in conjunction with the fact that in modern football there are lots of talented young players with potential to become a bone of contention for agents. Further to this, due account should be taken of the fact that UEFA’s “home grown player rule” and the UEFA Financial Fair Play Regulations push clubs to invest in youngsters and this renders their circulation in the market more common than in the past. The statistics provided by FIFA ITMS show that minors are the category of players who have most often used an agent, in 17.6% of the concluded international transfers against 15.2% and 14.5% between 18-25 and 26-32 years old, respectively. Therefore, it borders on the absurd that agents cannot be remunerated when engaged in transactions involving minors. On top of that, higher thresholds ought to have been imposed i.e. the representation contract should have a limited term and for this, a useful inspiration could be derived from the case of Proactive Sports Management v Wayne Rooney, where it was decided that the eight-year image rights representation agreement constituted an unreasonable restraint of trade. FIFA’s RWI left a normative vacuum by not including a provision on the maximum duration of a representation contract. However, my comparative study shows that 5/8 FAs impose a maximum 2 year term on the representation contract. Such a limit protects not only the players’ but also the clubs’ interests against potential abuses involved in the engagement of agents for long periods. Furthermore, it avoids conflicts pertaining to restraint of trade as the absence of limits could lead to players being tied to their agent for a disproportionate period of time. However, since exclusivity (i.e. maximum duration of contract) is not prescribed in FIFA RWI, this could imply that they provide a safe harbor to players not to be contractually bound for a predetermined period of time. As submitted, this grants the players more bargaining power and would, indirectly, force agents to act in the best interests of their clients. It is crystal clear that multiple national disparities exist in the regulation of agents. Hence, I believe a streamlined uniform regulatory framework is needed at the European level and, as such, could be put in place by UEFA’s FAs. As football’s transfer money and underlying intermediaries’ commission fees are mostly concentrated in Europe, it should be underscored that consolidated RWI at the level of all European FAs would provide a more potent regulatory space and countervail “FIFA’s regulatory relinquishment”. As FIFA switched the onus to FAs, some of them could come together and become embroiled in enforcing an enhanced monitoring system and stricter conditions of access to the profession. This has also been supported by the EU Sectoral Social Dialogue Committee for Professional Football, which formulated that such harmonized European policy is the desirable next step for a better regulatory oversight of agents. Such partnership could be a laudable response to the calls for a centralized and harmonized mandatory licensing system. It should be done in cooperation with the EFAA, so as to take into account the agents’ perspective and likely facilitate adherence to the regulations. In this respect, it would be prudent to follow the examples of other Sports Associations. For example, FIBA when formulating effective regulations pertaining to agents promoted harmonization while involving the agents through consultation of AEBA. Pursuant to the latest EC Report, the National Basketball Players Association (“NBPA”) Regulations could also be considered as an example to follow, as they enhance the “professionalization” of agents and are based on a mandatory licensing system while setting accomplished higher education as an indispensable condition. The NFL, on the other side of the Atlantic, is also an interesting example as it requires a university degree or sufficient negotiating experience of minimum 7 years. As it is generally felt that the agents’ business is “unethical, complex and deceptive”, thus stringent conditions should be imposed to enter the profession. A qualitative selection process is indispensable. Players must be able to rely on agents equipped with the necessary skills and knowledge. FAs should look back at the Piau case where the compulsory licensing system was duly endorsed as legitimate by the then Court of First Instance of the EU, inter alia, on the basis that it was necessary to introduce “professionalism and ethical standards to protect players whose careers are short”. On a separate note, UEFA, as it claims to operate in a spirit of consensus with all its stakeholders, has to be the leading frontrunner of a harmonised regulation. In the framework of Article 165 TFEU and UEFA’s conditional supervised autonomy, this could be done in dialogue with the EC that possesses coordination competence with regard to sport, so as to ensure that potential new regulations can resist challenges on grounds of restraint of trade and alleged infringements of EU law. The Arrangement for Cooperation signed by the UEFA and EC earlier in February 2018 could be a good starting point going forward. It is unequivocal that FIFA’s RWI advent has had as a main repercussion the deregulation of the industry, or better put, the granting of autonomy to the FAs to regulate said industry using the minimum standards as the cornerstone. The case study, though, evidences that important disparities exist between crucial provisions of the various European FAs’ RWI, which leads to compounding practical and ethical problems and to higher risks of forum shopping. WALTER T. CHAMPION, “Attorneys Qua Sports Agents: An Ethical Conundrum” (1997) 7 Marquette Sports Law Journal 349, 350. The term “agent” will be used, as it constitutes the international jargon. 2015 FIFA RWI, Definition of an intermediary. 2015 FIFA RWI, Article 10. JUAN DE DIOS CRESPO and PAOLO TORCHETTI, “Limiting intermediaries’ fees and enhancing fiduciary duty”  World Sports Advocate 11, 12. 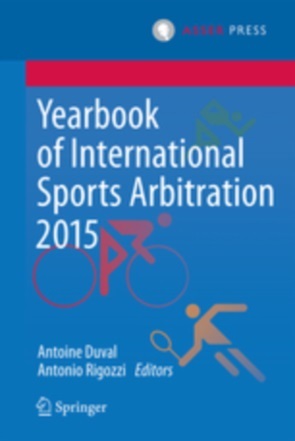 2015 FIFA RWI, Articles 3 and 6(1). JUAN DE DIOS CRESPO and PAOLO TORCHETTI, “FIFA’s new Regulations on Working with Intermediaries”  Football Legal 36. Annex 11 to the URBSFA Regulations, Article 4 [1.3]; The FA website, Intermediaries Registration [online]. Available at: http://www.thefa.com/football-rules-governance/policies/intermediaries/intermediaries-registration [accessed on 1 May 2018]; Code du Sport, Article L.222-7; FIGC, Regolamento per i Servizi di Procuratore Sportivo, Art. 4(1), 4(3) and 5; KNVB Regulations, Article 2(6); PFF Regulations, Article 7(2); RFEF Regulations, Article 7. JUAN DE DIOS CRESPO and PAOLO TORCHETTI, “FIFA’s new Regulations on Working with Intermediaries”  Football Legal 37; ORNELLA DESIREE BELLIA “FIFA Regulations on Working with Intermediaries: Analysis from the perspective of the clubs” in MICHELE COLUCCI (ed) The FIFA Regulations on Working with Intermediaries, Implementation at National Level (2nd ed., International Sports Law and Policy Bulletin 1/2016) 57-66, 59. Code du Sport, Article L.222-7. IAN LYNAM and JONATHAN ELLIS, “Players’ Agents”, in ADAM LEWIS QC and JONATHAN TAYLOR (eds), Sports: Law and Practice (3rd edition, BLOOMSBURY 2016), 1418 – 1478, 1420. SALEH ALOBEILDI, “FIFA’s RWI – Historical overview”  Football Legal 30. CAS 2006/A//1019 G. v. O., award of 5 December 2006 (anonymized) . 2015 FIFA RWI, Article 7(3). Annex 11 to the URBSFA Regulations, Article 8 ; FA Regulations, Rule C (11); FIGC, Regolamento per i Servizi di Procuratore Sportivo, Art. 6; KNVB Regulations, Article 8(6). Code du Sport, Article L. 222-17 ; DFB Regulations, Section 7.1-7.2; PFF Regulations, Article 11 ; In Spain no remuneration cap has been prescribed. 2015 FIFA RWI, Article 2(2). Annex 11 to the URBSFA Regulations, Article 9 ; FA Regulations, Rule E (2) a-c; DFB Regulations, Article 8; FIGC, Regolamento per i Servizi di Procuratore Sportivo, Art. 7; KNBV Regulations, Article 4; RFEF Regulations, Article 12. CAS 2012/A/2988, PFC CSKA Sofia v. Loic Bensaid (award of 14 June 2013) paras 74, 82 and 101. Code du Sport, Article L.222-17. FA Regulations, Rule E (2) d.
 Annex 11 to the URBSFA Regulations, Article 8 ; FA Regulations, Art. C (10) ; Code du Sport, Article L.222-5; DFB Regulations, Art. 7.7; KNVB Regulations, Article 8(7); RFEF Regulations, Article 10. PFF Regulations, Article 5(4); The Physical Activity and Sports Basic Law (“PASBL”) or Law no. 5/2007, Article 37(2). 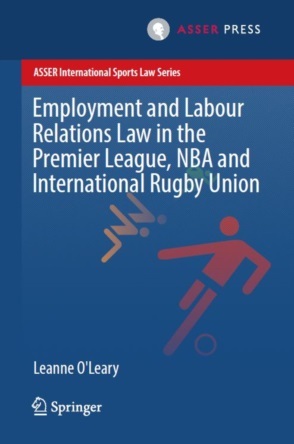 SALVATORE CIVALE and MICHELE COLUCCI, “The FIGC Regulations on Intermediaries” in MICHELE COLUCCI (ed) The FIFA Regulations on Working with Intermediaries, Implementation at National Level (2nd ed., International Sports Law and Policy Bulletin 1/2016) 329-338, 335. JEAN-MICHEL MARMAYOU, “EU Law and Principles applied to FIFA Regulations” in MICHELE COLUCCI (ed) The FIFA Regulations on Working with Intermediaries, Implementation at National Level (2nd ed., International Sports Law and Policy Bulletin 1/2016) 75-112, 91. ROBERTO BRANCO MARTINS, “FIFA’s RWI – Agents’ perspective”  Football Legal 50. The judge supported his argumentation by making reference to the obsolete FIFA Regulations, which stipulated that representation contracts were limited to a maximum two-year term, attaching to said agreement a unique character. FA Regulations, Art. B (10); FIGC, Regolamento per i Servizi di Procuratore Sportivo, Art. 5; PFF Regulations, Article 9(2) §c; RFEF Regulations, Article 8(4). CAS 2008/A/1665, J. v. Udinese Calcio S.p.A, (award of 19 May 2009) para 54. WIL VAN MEGEN, “The FIFA Regulations on Intermediaries: The players’ point of view” in MICHELE COLUCCI (ed) The FIFA Regulations on Working with Intermediaries, Implementation at National Level (2nd ed., International Sports Law and Policy Bulletin 1/2016) 67-74, 74. BORJA GARCIA, “Sport governance after the White Paper: the demise of the European model?” (2009) 1:3 International Journal of Sport Policy 267; It was firstly stated in the Meca-Medina case : “restrictions imposed by sports federations must be limited to what is necessary to ensure the proper conduct of competitive sport”. ROBERTO BRANCO MARTINS and GREGOR REITER, “Players’ Agents: Past, Present … Future?” (2010) 1-2 The International Sports Law Journal 7.